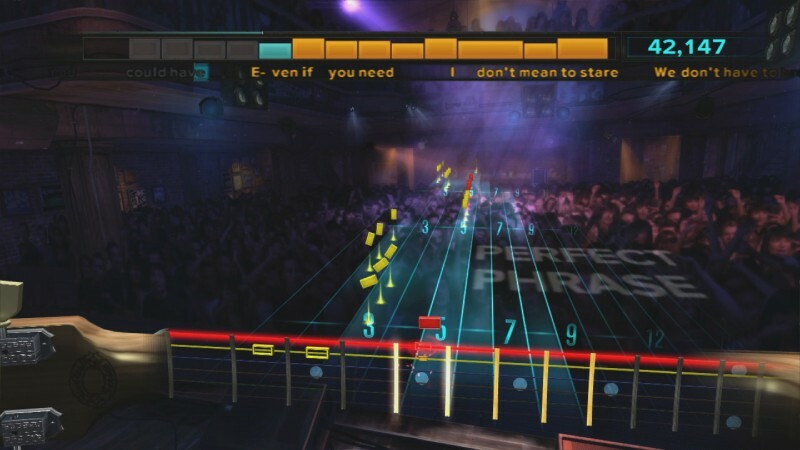 Rocksmith teaches you to play guitar, and it lets you use any guitar with a pickup to do it. The game is an impressive feat in music education wrapped up in the trappings of a game. While several other franchises will give you a more enjoyable party game, more robust unlockables, and flashier graphics, no other video game title offers such an impressive suite of tools to get you playing an honest-to-goodness musical instrument. The technology on display is remarkable. Plug your own guitar into the game console using a cord that comes with the game. Start playing. It’s as simple as that. A simple-to-use in-game tuner helps you keep things sounding right. Songs automatically adjust the output sound to match the tone of the original guitar part, and you hear the notes you play as part of the music. There’s even an amp mode in which you can unlock your own effects to play freely to your heart’s content. Rocksmith’s learning system is squarely targeted at novices, introducing the fundamentals of finger placement and chords while slowly layering in more targeted tricks like palm muting and harmonics. At any time, the game will recommend one of several new tasks you should try next, but you’re free to branch out and play whatever you like. Technique exercises are prefaced by concise videos describing the task, and the subsequent practice sessions always nail home a focused lesson. For variety, there are also some cute unlockable arcade-style minigames. 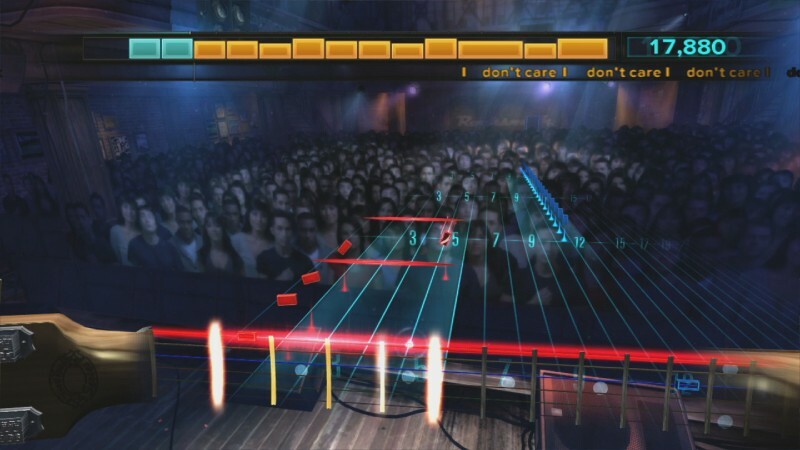 The core experience of playing is built around playing songs through an intuitive tab-style interface. Song rehearsals start you out at the bare minimum, often playing a single note every few seconds. That’s where the interactive element kicks in – dynamic difficulty alters the song as you play, adding in new notes and chords as you master previous ones until you’re playing the full arrangement. That same dynamic difficulty will prove frustrating for more experienced players, since there’s no way to manually boost the challenge. I also can’t praise the bare-bones presentation, with its boring UI and constant loading. Finally, for those with HDTVs, the specter of music game audio latency continues to rear its ugly head. 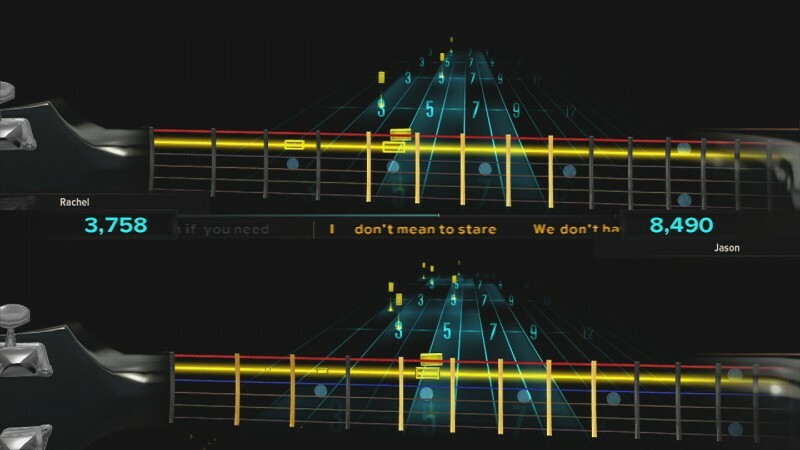 Those caveats aside, Rocksmith surprised me with its depth and usability. The eclectic song catalog stretches from The Rolling Stones and Nirvana to Radiohead and The Pixies, and on through Sigur Rós and Muse – around 50 songs in all. Plus, there’s so much to explore; many songs even have multiple arrangements to learn, representing different lead and rhythm parts. 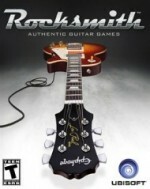 Is Rocksmith always a thrill a minute? No. However, few recent games offer so novel an experience as playing a guitar part, and hearing the notes you play flow out of your TV as part of a great rock song. It’s the added incentive a lot of potential musicians might need to put in the time it takes to excel. Rocksmith may lack in production values, but no other game offers such a remarkable tool to learn how to play a musical instrument.